Brei Law Firm > NEWS & RESOURCES > Real Estate Law > Contractors Beware: Make Sure Your Contract Won’t Get Your License Suspended! In Arizona, contractors are required to include nine written items in any contract that has a total amount of more than $1,000. Neglecting to do so can subject your contractor’s license to disciplinary action by the Registrar of Contractors, such as license suspension or revocation. 1. The name of the contractor and the contractor’s business address and license number. 2. The name and mailing address of the owner and the jobsite address or legal description. 3. The date the parties entered into the contract. 4. The estimated date of completion of all work to be performed under the contract. 5. A description of the work to be performed under the contract. 6. The total dollar amount to be paid to the contractor by the owner for all work to be performed under the contract, including all applicable taxes. 7. The dollar amount of any advance deposit paid or scheduled to be paid to the contractor by the owner. 8. The dollar amount of any progress payment and the stage of construction at which the contractor will be entitled to collect progress payments during the course of construction under the contract. 9. That the property owner has the right to file a written complaint with the registrar for an alleged violation of section 32-1154, subsection A. The contract shall contain the registrar’s telephone number and website address and shall state that complaints must be made within the applicable time period as set forth in section 32-1155, subsection A. 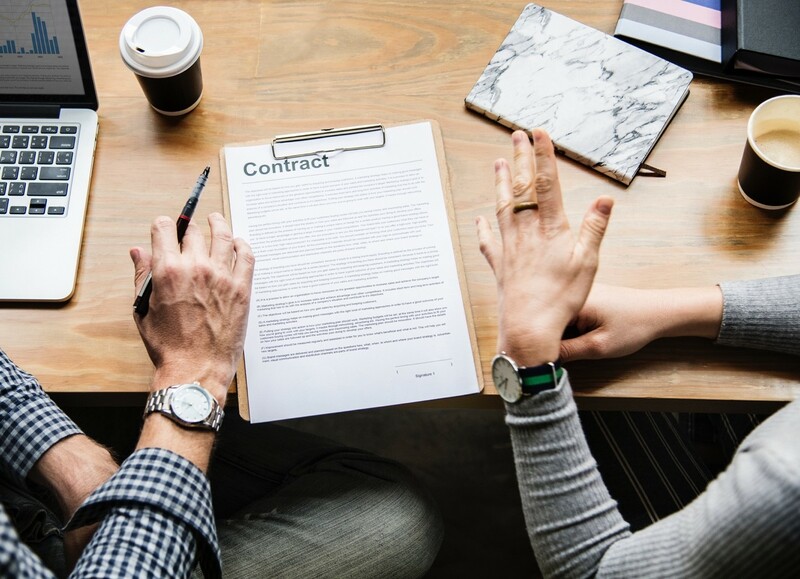 The information in this paragraph must be prominently displayed in the contract in at least ten-point bold type, and the contract shall be signed by the property owner and the contractor or the contractor’s designated representative. This paragraph does not apply to a person who is subject to and complies with section 12-1365. Under A.R.S. 32-1158 (B), contractors must give the property owner a legible copy of all signed documents, as well as a written and signed receipt for any cash payments. It is always a good practice to have your business or construction contracts reviewed by an attorney. Our Tucson attorneys practice in Real Estate, Construction, and Business Law, three areas that give them singular insight into the best ways to formulate your business or construction contracts to protect your interests, while also complying with any immutable elements required under Arizona law. Call us at 520-297-4411. If the contract is related to a repair for catastrophic storm damage as designated by an insurer, or a residential swimming pool, there are numerous additional contractual requirements under A.R.S. 1158.02 or A.R.S. 1158.01.